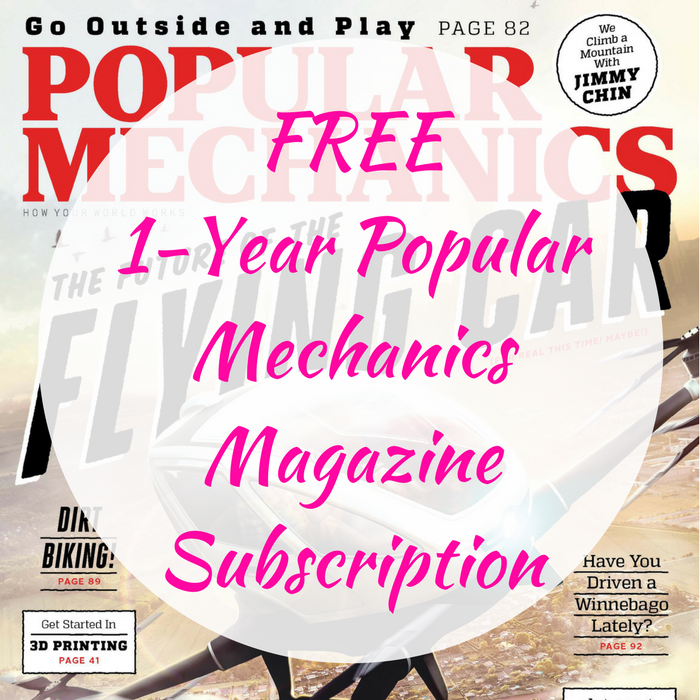 FREE 1-Year Popular Mechanics Magazine Subscription! You are here: Home / FREEbies / FREE 1-Year Popular Mechanics Magazine Subscription! For a limited time only! Click here to score a FREE 1-Year Popular Mechanics Magazine Subscription by just filling out the short form! Don’t miss it!